Once a year, the Orlando Weekly produces a culinary event called Bite30, that offers great prix fixe deals at select restaurants for an entire month. From now until June 30, participating restaurants offer special prix fixe menus that offer multi-course lunches or dinners at a set price of $30. Diners get the opportunity to try multiple dishes on the restaurant’s menu for about the cost of a single entree, and restaurants get to showcase their specialty dishes. From June 1-30, participating restaurants offer special prix fixe menus that offer multi-course lunches or dinners at a set price. Diners get the opportunity to try multiple dishes on the restaurant’s menu for about the cost of a single entree, and restaurants get to showcase their specialty dishes. 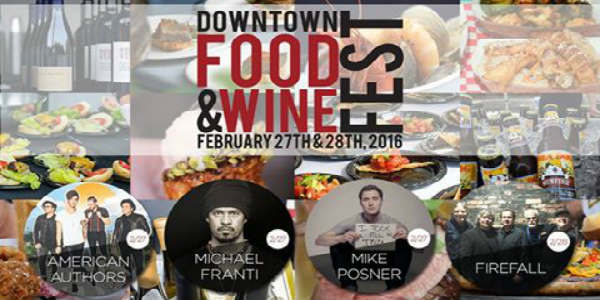 The Eighth Annual Downtown Food & Wine Fest will take place February 27 and 28, in downtown Orlando at Lake Eola Park. The two-day Fest features mouth-watering dishes from 30 of Orlando’s premier restaurants, as well as 50 domestic and international wines to sample.